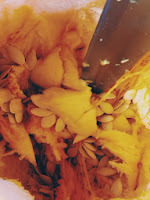 Kirstiekins Blogs: Penelope Bynes: the pumpkin! Yesterday was the first time in my 21 years I had carved a pumpkin, and I can tell you now, I've never felt to scarily powerful in my life! 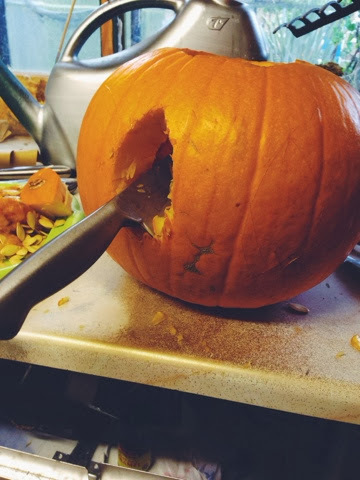 Maybe it was the fact I was stabbing the heck out of a pumpkin, over and over.... Or maybe it was because I had no adult supervision! I am the adult these days, so I don't need adult supervision for anything! Wooo! 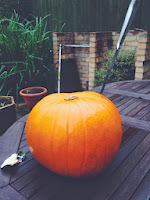 As I had never carved a pumpkin, I had no idea how to do it, so I pretty much just went for it! 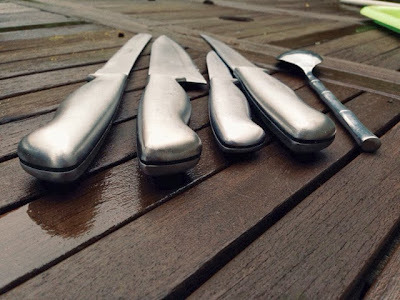 I grabbed a selection of knifes from my kitchen, and started planning my pumpkin massacre! The only boundary I had was my creativity, and that is a never end mass of everything, so I pretty much had no limits! The worst part of pumpkin carving is having to clear out all the inside gunk. It's a never ending pit of disgustingness, and the smell lingers for hours afterwards... but I suppose its worth it if you get to create a supercool scary pumpkin face! 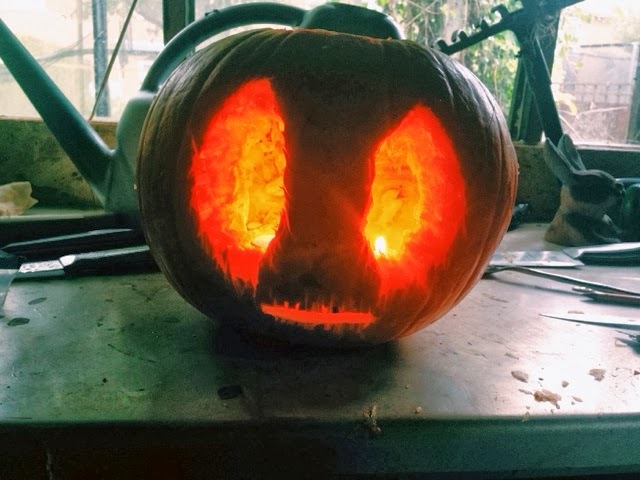 Once you have hacked your pumpkin to pieces, and made her look scary, you can put a bunch of tea lights inside, and then marvel over your finished masterpiece!